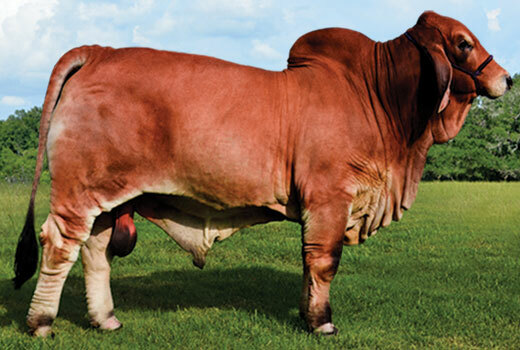 Skeeter was 2015 ABBA Premier Red Show Bull of the Year and was also the 2015 Houston International Reserve Grand Champion Red Bull. Skeeter is no stranger when it comes to bone, muscle, and power. Winning 30 Championship awards in his show career, he is one of the best sons 800 has produced yet.